At the moment you caught sight of this book, what were you thinking? Was your thought a stream of sensations? Or was it a voice in your head? Did you ask yourself, 'I wonder what that's about?' Did you answer? And what does it mean if you did? When someone says they hear voices in their head, they are often thought to be mentally ill. 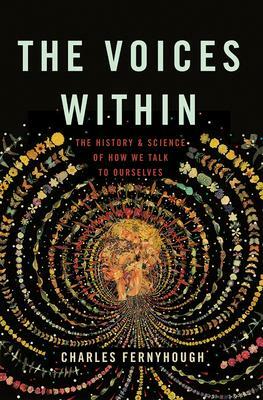 But, as Charles Fernyhough argues in The Voices Within, such voices are better understood as one of the chief hallmarks of human thought. Our inner voices can be self-assured, funny, profound, hesitant, or mean; they can appear in different accents and even in sign language. We all hear them-and we needn't fear them. Indeed, we cannot live without them: we need them, whether to make decisions or to bring a book's characters to life as we read. Studying them can enrich our understanding of ourselves, and our understanding of the world around us;it can help us understand the experiences of visionary saints, who might otherwise be dismissed as schizophrenics; to alleviate the suffering of those who do have mental health problems; and to understand why the person next to us on the subway just burst out laughing for no apparent reason. Charles Fernyhough is a writer and psychologist. He is the author of the critically acclaimedPieces of Light, shortlisted for many prizes, and A Thousand Days of Wonder. He directs Hearing the Voice, a project on inner voices based at Durham University. He lives in County Durham, United Kingdom.